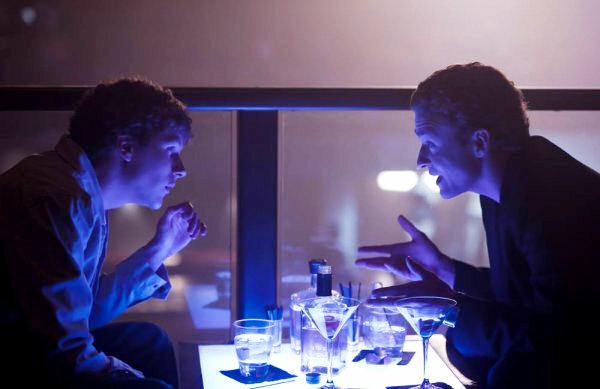 The Chicago Film Critics Association announced the winners of its 2010 Chicago Film Critics Association Awards and as with most other critics' groups, The Social Network was the big winner. It took Best Picture, Best Director (David Fincher) and Best Screenplay (Aaron Sorkin). Inception took two awards for Best Original Screenplay Christopher Nolan) and Best Cinematography (Wally Pfister). Black Swan also won two awards, for Best Original Score (Clint Mansell) and Best Actress (Natalie Portman). The other main acting prize went to Colin Firth (The King’s Speech). The supporting acting awards went to Christian Bale (The Fighter), and Hailee Steinfeld (True Grit). Jennifer Lawrence (Winter’s Bone) was named Most Promising Performer. The other feature awards were given to Un Prophète (A Prophet) for best Foreign Language Film, Toy Story 3 for Best Animated Feature, and Exit Through the Gift Shop for Best Documentary. The Chicago Film Critics Association consists of some well-known and respected critics such as Roger Ebert, Richard Roeper, Scott Tobias and Nathan Rabin.